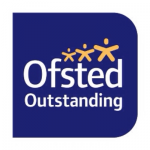 I have been registered since 1997 and received a Outstanding in my last Ofsted inspection September 2015 I am registered to look after 6 children. I can also care for two children under the age of one year, having previous experience of caring for twins. I am a mother of 3 daughters who all have finished university. We live in a large house with a garden and a designated playroom with W/C for the children . I am a member of PACEY. My setting provides a warm, caring and stimulating environment where the children in my care will feel safe and secure they are valued and treated as individuals. Children are given the opportunity to develop physically, socially and emotionally in a home environment. I am committed to equality of opportunity, inclusion, and diversity.Helping the children to become confident, caring and independent. My daily activities include Playdoh, colouring, sticking, painting, singing, stories, jigsaws dressing up, games and a varied selection of toys for all ages and abilities. Which they are able to freely choose from, allowing flexible and structured activities in account of their ages and stages of the children. Every week we attend local toddler group's and visit the library. When the weather permits we walk to the park or have days out, visit farm parks, picnics in the woods, soft play and splash pools. In my garden it is full of bikes, scooters, toys, slides, see-saw, pop-up tents and tunnels, sand and water play. The playroom opens out directly into the garden via sliding patio doors. The children are encouraged to help with planting flowers and vegetables in the garden and watch them grow and water them. References available from past and present parents of child minded children. I have cared for children for over 20 years and some of the families the children were in my care for over 8 years. I offer a home from home environment for the children to learn and develop in their own time. Opening times: 7a.m to 7p.m. Availability: Full Time, Part Time, All Year round, or as and when Required. Below are the latest reviews for kate maidment. Please note that reviews represent the subjective opinions of other Childcare.co.uk users and not of Childcare.co.uk. Parents must carry out their own checks and references on childcare providers to ensure that they are completely happy before enaging in the use of their services. Kate has looked after our 2 girls (now 2 and 4) over the past 2 years. She is incredibly professional, caring and fun, whilst at the same time ensuring that the kids in her care learn key life skills and are set clear behavioural boundaries. She takes the children to a range of activities and does some great crafts pretty much every day. We highly recommend her and will miss her greatly. Kate was our Childminder for 11 years and she looked after my 3 children from the age of 6 months. She is an experienced Childminder that genuinely cares about the children in her care. She goes above and beyond to not only keep them safe and well looked after but arranges a wonderful variety of activities to entertain them too. All of my children loved attending, they enjoyed activities that we wouldn't always get to do at home (due to the mess factor!). Craft activities were a speciality and our children regularly brought home glitter covered masterpieces. She was keen to teach them too and her lovely garden was also child orientated, with lots of growing vegetables and flowers. The setting was always well organised and she had various charts that helped the children too. At the end of the session, we would always have feedback as to what our children would have achieved that day, or be told of any progress they had made. Her knowledge of the Early Years framework was always really high and so she was very in tune with the level your child was reaching. When my first child attending her setting, her advice was always invaluable to me and I learnt a lot from her. She was always reassuring. Kate was extremely reliable and hardworking. I could leave the children with her and not worry. I can only count on one hand, the people I would leave my children with and Kate was one of them! She made you feel like one of the family and we feel so blessed that we were able to have a consistently high standard of childcare over so many years which is rare these days. Wishing her every success in her new area, you would be extremely lucky to have her as a childminder! Kate looked after our son for 2 years from the age of 1 and provided excellent care - he was definitely in safe hands! Kate is friendly and reliable, our son loved going to her home and would come home with endless arts and crafts which took pride and place on our mantlepiece. Kate invested a lot of time in developing skills and was pivotal in the potty training process when we would have easily given up! We can't thank Kate enough for her time and are sad to see her leave - we wish her the very best in her new home! Kate looked after our 2 boys from when our eldest was 1 yr until 4 yrs and our 2nd son was 1 yr until 3 yrs. We are very happy with the care she provided and it always felt like she really did care, rather than was just doing this as a job. We were very sad that moving house meant we had to leave and have yet to find the same quality of care. She takes time to work with each child, finding activities that match their interests and stimulate them. In addition, Kate also organises activities outside the house for them, taking the children to the library, park or singing and music groups. They have a lot of contact with other children. Our boys went from being with Kate to going into a larger nursery and had no problems adapting. When we were looking for childcare, outside space was really important to us. We really liked the way she had designed her garden, packing a lot into a small space and making it suitable for all weather. She made very good use of it so the children could always have some time outside and get involved with planting things as well as playing. My boys still miss her garden and keep asking if they can go back and visit. Our youngest son was born with mild-moderate hearing loss and needs hearing aids. There were concerns that he may have speech problems as a result. However, Kate was amazing in adapting to his needs and he ended up being far more advanced in his speech and development than other children his age. This early years grounding has significantly minimised any future disability his hearing loss may have caused and really impressed his audiologist and hearing teachers. We give Kate a lot of credit for this.